Our Corporate Resource Cell (CRC) helps solve your recruiting puzzle. 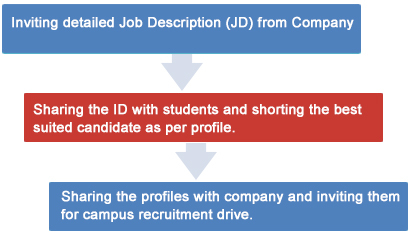 Through numerous activities like pre-placement talk, on-campus interviewing & events such as placement weeks, we create a platform to connect with our talent and identify the best human resource for your company. We take pride in making your time on campus both cost-effective and efficient, and have put together this informative guide to make your recruiting experience the most productive and helpful in achieving your hiring goals. Why Recruit from Asian Business School (ABS)? Recognizing that today’s business challenges and opportunities are multi-dimensional, the students develop their professional scale and flexibility by completing dual specializations. Regardless of the positions you want to fill, ABS can connect you with qualified individuals both the current students and also with our Alumni network, in case you are looking at hiring experienced candidates. We focus attention on ethics and personal responsibility and strive to ensure that our students communicate honestly and professionally. We expect the same professional conduct from the employers. All materials received from our students (letters, resumes, transcripts) are confidential and restricted for use in the hiring process within the organization. On a successful job offer, our students will work in your organization with upmost professionalism. We expect our recruiters to ensure a professional approach during their recruitment process and ensure that the same profile & CTC is offered at the time of joining as communicated in the job description/ during interview.